Safety Industries were amongst the first organisations in the UK with staff accredited to the Fit2Fit respiratory face fit testing scheme. The scheme was devised by the British Safety Industries Federation (BSiF) in conjunction with the HSE and leading respiratory manufacturers in response to fears that face fit testing standards were lacking due to the shortage of competent persons available to carry out the tests. All of our fit testers are accredited to the scheme for Quantitative face fit testing procedure using the TSI PortaCount System (HSE 282/28 Protocol). 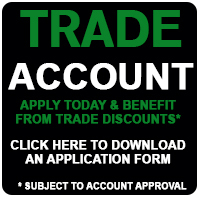 We offer fit testing by appointment at our Romford premises and on site ,subject to location. 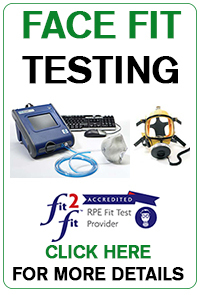 The purpose of a face fit test is to establish that a given respirator (RPE) fits the candidate providing an adequate face seal and fit test factor. We can test on the preferred first choice of RPE but if the test proves un-satisfactory then we can then try alternative RPE. * Be clean shaven on the day of the test, in the area where the mask seals to the face. * Not have smoked at least two hours before the test, as any smoke residue in the lungs can cause a false reading on the test equipment. * Must know which respirator/s the size of facepiece they are being tested on. * Must inform the tester what expiry date they would like on the certificate. For example your company policy might be 2 years etc. Our system is defaulted to 1 year. Once a certificate is produced, it CANNOT be changed. * If other head mounted PPE is normally worn (E.g. Eyewear, Hard Hat, Ear Defenders), these items must be brought along and worn throughout the duration of the test. * If combination filters (Gas/Vapour) are normally worn in addition to P3 (Dust) filters, they must also be fitted and worn during the test. * Be able to fit their RPE. * Be physically fit to wear RPE and walk on the treadmill for 15 minutes , candidates with breathing problems, asthma or other significant health issues should consult their GP if they are concerned about their suitability for this test. We cannot give health advice. Photocopies of the fit test will be given to candidate and the originals sent with the invoice to the bill payer. We can fit test a wide range off respirators, both full and half masks, Please check when booking to make sure we have that mask. Why do you need a fit test? "Where adequate control of exposure cannot be achieved by other means, the provision of suitable personal protective equipment....."
"It is a good practice to have a system in place to ensure repeat fit testing of RPE is carried out on a regular basis. This is especially important when RPE is used freqently as a primary means of exposure control, e.g. annual testing for workers involved in licenced asbestos removal." "if the company's health and safety policy requires it. It is recommended that employers have a specific policy on frequency of repeat fit testing, eg every one or two years." In summary, it is recommended that you follow your companies Health and Safety policy. As a standard, our system is set to produce the certificates with a Due Date 12 months for the original date of the test. If your company policy differs to this, please confirm this to us in writing at the time of booking, as certificates cannot be amended. Please call us for more details and to arrange a booking.